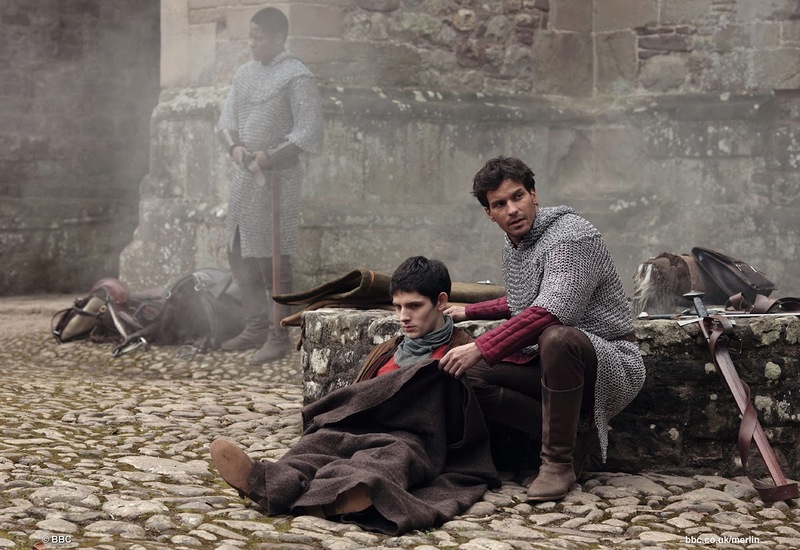 In the closing moments of “The Darkest Hour, Part 1”, Merlin made the ultimate sacrifice and pushed Arthur out of the path of the oncoming Dorocha. I knew in that moment that Merlin would surely survive, it was the first episode of the fourth season after all, but it still broke my heart to see him frozen and lifeless. 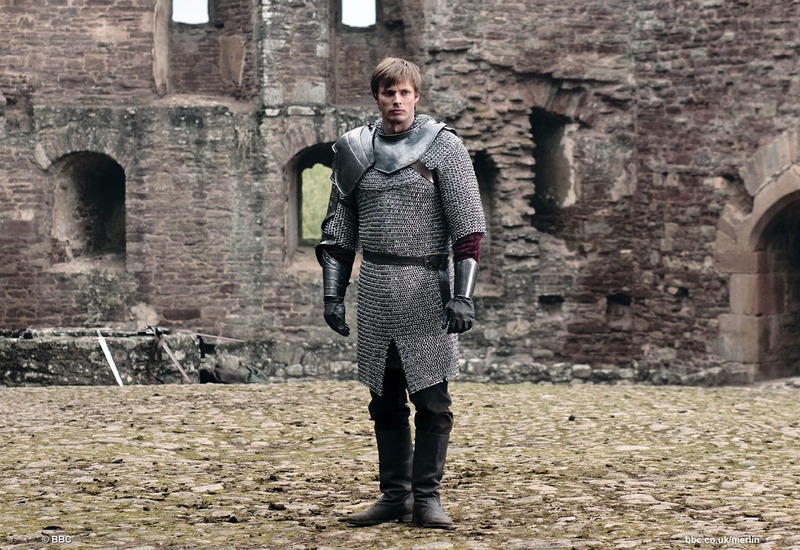 This was a man willing to sacrifice his own life to save that of Arthur and ensure the salvation of Camelot. As Arthur reconciles himself to the fact that he will have to sacrifice his own life to close the veil between the worlds, Lancelot (Santiago Cabrera, Heroes) agrees to take Merlin back to Camelot through the Valley of the Fallen Kings. Filmed on location in Puzzlewood in the Forest of Dean, there is beautiful scenery in this scene as they ride through the forest, surrounded by the statues of fallen kings. 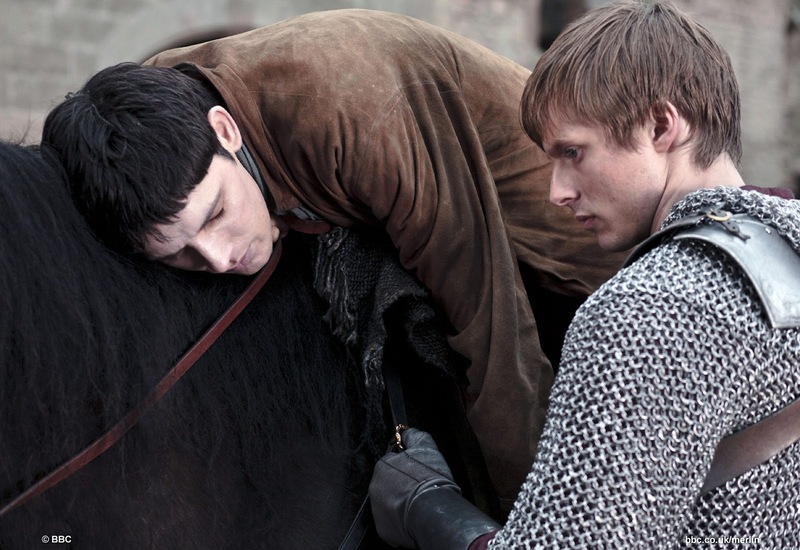 It is a poignant reminder that Merlin’s sacrifice has elevated him to the status of a king. Lancelot stops along the way, resting beside a stream. As Merlin draws strength and magic from the stream, Lancelot encounters the Vilia, spirits of the brooks and streams. One of them speaks to him, saying that the tear in the veil has upset the balance of the world and that this state cannot be allowed to continue. 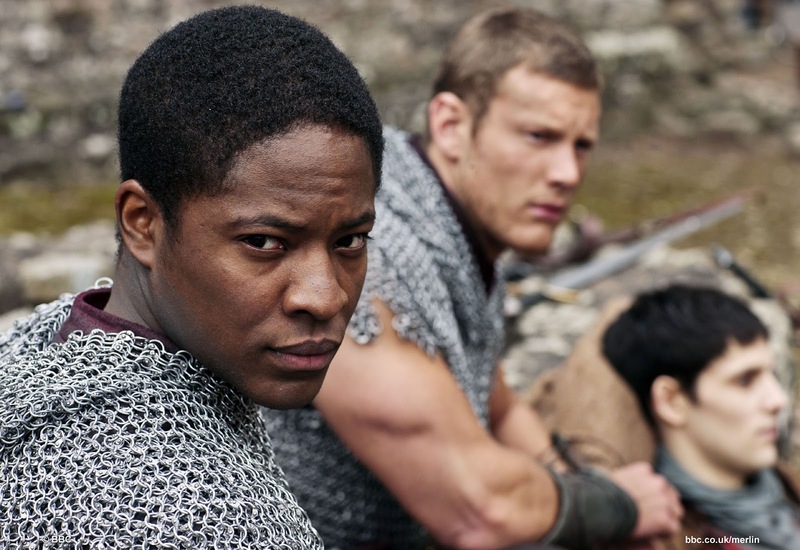 She tells Lancelot that Arthur will need both their help and that Merlin is stronger than he thinks. Arthur and his men enter a system of tunnels to escape the Dorocha but encounter the disgusting and vile Wilddeoren instead. These slobbering, slimy, giant blind rats are just horrible but the animatronics and special effects are incredible! Back in Camelot, Guinevere (Angel Coulby) comes head to head with Agravaine and shows that she certainly has the mettle to be queen of Camelot and partner to Arthur. Unfortunately, that puts her on Agravaine’s radar and once again, Morgana shows the depth of her treachery when she plots with Agravaine for Guinevere’s demise. 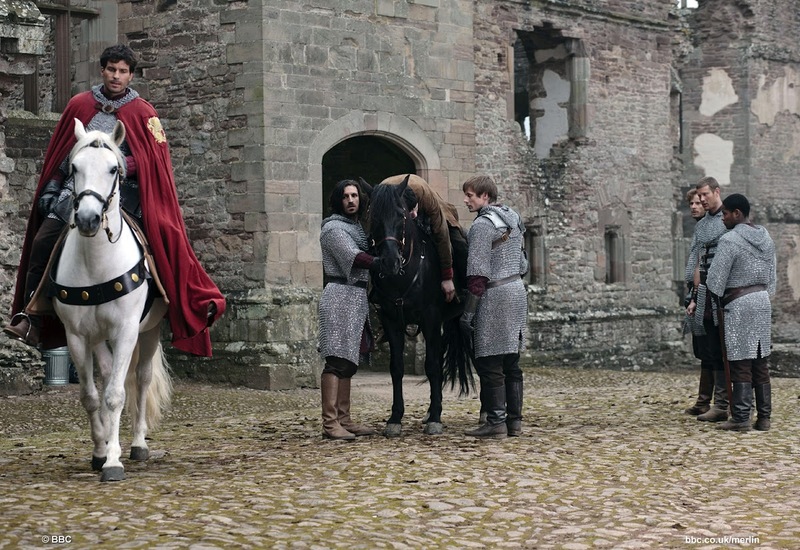 Arthur, Merlin and the Knights of Camelot face their biggest challenge yet but I have to say, this slow moving episode is almost excruciating at times and the tension is unbearable. There is much more focus on Arthur’s brave and valiant knights in episode. There are the normal moments of hilarity with Gawain mostly being the brunt of the jokes but each of them proves their worth throughout the episode (and the rest of the series). 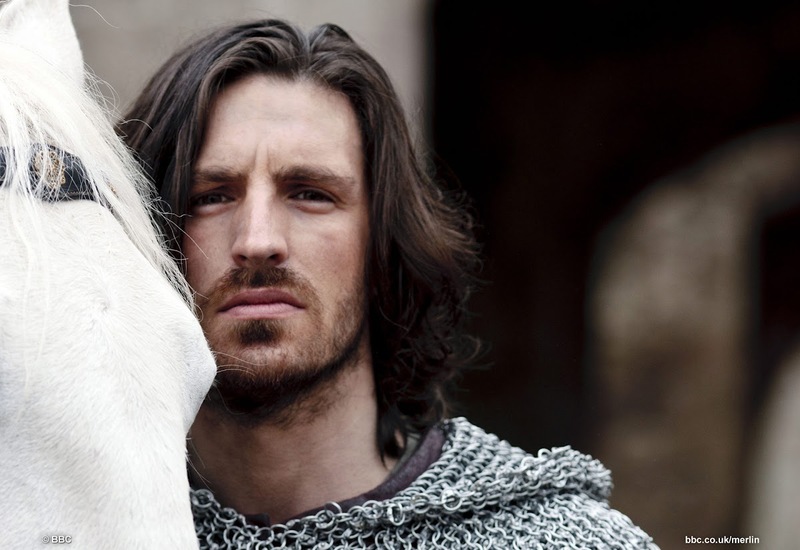 Lancelot talks to Merlin of the inexplicable pull to honour and the vow that he made to keep Guinevere safe. It is easy to forget sometimes that although Lancelot is open to magic, there are things he would never have seen before or perhaps does not know. 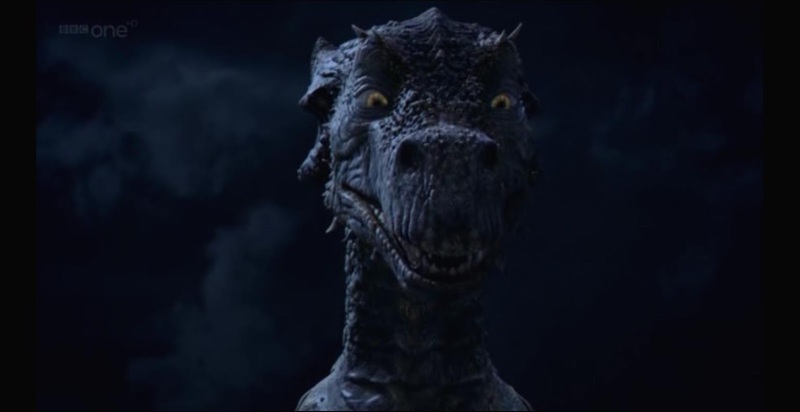 Like the fact that Merlin is a Dragonlord, able to command and summon Kilgharrah, the Great Dragon. The scene with the Great Dragon, Merlin and Lancelot is perhaps my favourite Merlin scene of all time. Kilgharrah: Who is your friend? Kilgharrah: Of course. Sir Lancelot, the bravest and most noble of them all. Lancelot: I'm not sure that's true. Kilgharrah (voice John Hurt) tells them that it is the Cailleach to the spirit world that demands the sacrifice, not the spirit world itself. What follows is an incredible exchange when Kilgharrah remarks at how far Merlin has come and Merlin acknowledges that he learned it all from the dragon. Kilgharrah: From the moment I met you, I saw something that was invisible. Now it is there for all to see. Merlin: All of what you see, old friend, is what you taught me. Kilgharrah: It will be an empty world without you, young warlock. One thing I noticed in this episode is that Colin Morgan’s dialogue is exceptional. It makes me wonder how much freedom he has to contribute to his lines because he absolutely owns this role. I'm glad your back. I actually thought you've paused your addicted to media blogging since there was a time that you weren't posting much. Is Merlin good? I was wondering if it were worth watching? Hiya Haopee! I defintiely think it is worth watching. I was a great fan of BBC's Robin Hood but found it became rubbish by the third season. In my opinion, Merlin hasn't suffered that fate and has just become better and better. You are right - my posts became rare in December as I was on holiday, but I am back with a vengeance! 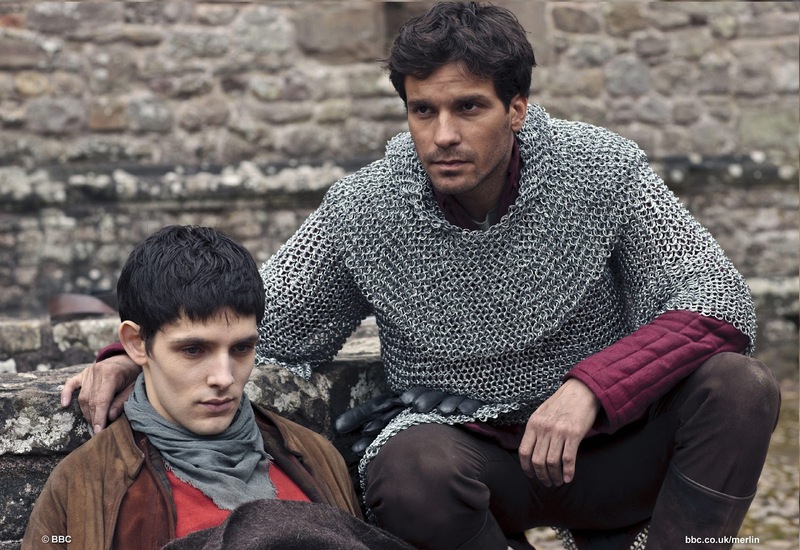 I haven't seen Merlin (yet) but I will sure look for it now. It is good to see that some story lines never get boring to watch.